Financial difficulties complicate a person’s life, so each of us strives to achieve material stability. Thanks to the advice of astrologers, you can avoid unnecessary waste, and possibly increase your income. Usually it is in the middle of the month that each person has a lot of expenses, and during this period it is very difficult to maintain financial stability. 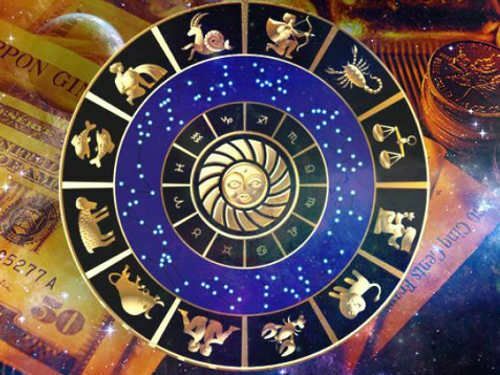 Avoid large monetary losses will help the recommendations of the weekly horoscope, as well as proper planning. Shopping is a favorite activity of many people that can hit the budget a lot. New things will bring you only joy and benefit if you ask for help from the lunar shopping calendar. This week, your plans may be hampered by the enhanced energy of Venus. Conducting large financial transactions threatens Aries with monetary losses. The strong position of your opponent Saturn can also push you to useless spending. To save money, avoid shopping. Until Sunday, February 18, the sun patronizing you will be weakened, so it’s not worth waiting for support from him — rely on your strength. Try to avoid contact with unreliable people, because sometimes even good friends can be scammers. At the end of the week, all your patron planets will move to a neutral position, so there will be no major changes in your financial situation at this time. Taurus very carefully treat money and try to avoid serious spending. From February 12 to February 18, the reinforced Venus will help you not only to preserve, but to increase your wealth. However, troubles are possible at the beginning of the week, when your patroness of the Moon will be weakened. Its location in the constellation of Capricorn can awaken negative qualities in you — greed and even self-interest. Try to treat money easier, otherwise you risk worsening relationships with loved ones. It is always nice to spend money on gifts, and at the end of the week you will have such an opportunity. The moon in Pisces will make Taurus much more generous, but try to spend money not on yourself, but on your loved ones, and their smile and gratitude will be a pleasant gift for you. All week your main assistant will be Venus. With it, you will be able to achieve new heights at work and gain monetary success. Do not forget that much depends on you. Make an effort to get your boss to notice your efforts and generously reward you for your job with a promotion or a bonus. Only the last day of the week can bring you a lot of trouble. Your patron Mercury will become weakened in the constellation of Pisces, which means that serious changes can occur in the financial sphere, and they are unlikely to be positive. You should not take large sums with you, going for a walk, so as not to lose money through your own or someone else’s fault. Instead of visiting expensive establishments, it is better to spend your free time in the park or at home with your family. For Rakov, a week can start with a cash loss. You yourself may not notice how an ordinary shopping trip has dramatically depleted your wallet. Going shopping, be sure to make a list and try not to deviate from it. This way you can spend less, and your new acquisitions will be useful, and in the end you will not have to regret the money spent. From February 16 to February 18, the energy of the patron of your Moon Sign will be strengthened, which means you can relax and spend some money on yourself over the weekend. However, this does not mean that you need to spend all your savings. Savings — the path to financial success. Learn to manage your money correctly, and then you will find a happy and secure life. The next week will bring a lot of difficulties to the lions, and first of all they will be connected with finances. Your opponents Saturn and Neptune will be strengthened during the week, and on February 16 another your antagonist, the Moon, will join them. Such a negative impact can lead to large monetary losses. This is not the best time for deposits and financial transactions. The strong position of Venus in Pisces will negatively affect your work affairs. There may be conflicts with colleagues and superiors, and their cause may be misunderstanding and your distrust of others. It is not necessary to demand a salary increase during this period, since your attempt will not only bring no results, but also worsen your relationship with your manager. Virgos are used to being the first everywhere and in everything, especially when it comes to work. However, this week you will not be able to express yourself. From 12 to 17 February, your patron Mercury will be neutral, which means that global changes in your life are not expected. Do not give up and relax, because your efforts and dedication will be noticed one day. Venus, which adversely affects your Mark, will be strengthened, which may adversely affect your financial situation. However, at the end of the week, the Moon will help you greatly. Her strong position in Pisces will help you find a creative approach to solving any problems, even financial ones. On the last day of the week, February 18, try to avoid expensive purchases, as Mercury will be maximally weakened. Scales will have to work hard to gain financial success. This will help you Venus. This week you will have the opportunity to put an end to old business and begin to implement your ideas. Efforts and hard work will turn you to benefit and a good monetary reward. Remember that money likes careful handling. To make your income much larger in the future, follow simple rules and learn how to plan your budget. This week you will have the opportunity to increase your income with the help of deposits. The heightened influence of the patron planets — Venus and Saturn — will help you avoid trouble, and the weakened Sun, which deprives your Token of financial luck, cannot prevent you. Scorpios love to spend money wisely, but this week your budget can be significantly reduced. This is due to the reinforced position of your antagonist Venus. If you planned to spend the weekend in an entertainment venue, then try to choose the least expensive of them, otherwise next week for you will start with debts. Unfortunately, from February 12 to 18, your patron planets are either in a weakened or in a neutral position, which means that you yourself are responsible for solving your problems with a cavity. Everyone wants to improve their financial situation, and sometimes for this you need to take risks. However, this week, the Scorpions should not risk and rely on intuition at a crucial moment, as it faces major financial losses. Neptune’s strong energy will reassure Sagittarius self-confidence, which means you have a chance to move up the career ladder. Show yourself to the maximum and show that your ideas are doomed to success — of course, if you yourself are confident in this. On Friday, the position of your opponent of the Moon will be strengthened, so try to complete all the important things before the end of the week. At the weekend it is advisable to forget about work and rest. Leisure time is better to spend at home with your loved ones. In the evening, you can take a walk through the snow-covered streets. A beloved person who may have missed your attention all week will be an excellent company for you. Try as often as possible to talk about the feelings of your soul mate. With the help of a love horoscope you will know which days are most favorable for revelations. During the week, additional strength will be given to you by the positive influence of your patron, Saturn. Try to direct the energy in the right direction. If you want to increase your income, then start active actions on Monday. Work is not the only way to make money. You can purchase shares or invest funds at interest. It is important to believe in yourself and your success, and then you will succeed. The influence of enhanced Neptune will give you a positive attitude. During the daytime, you can think about ideas for additional income, but be sure to relax in the evening and take time for your favorite activities. Aquarius is very lucky this week, because both of your patron, Saturn and Neptune, are strengthened and positively tuned. During this period, you can do any business. Do not worry that your financial situation will deteriorate. Thanks to the help of two strong planets, luck will go to your hands. Planet antagonists will not cause you unnecessary problems: from February 12 to 18 their energy will be weakened. For Aquarius to feel happy, it is important for them to feel freedom. Sometimes it is useful for you to be alone with yourself and think about the future. A well-designed plan will help you gain luck and financial success. Pisces try to abstract from financial problems and prefer spiritual values ​​to material ones. At the end of the week you can devote time to your hobbies. From February 16 to February 18, your patroness of the Moon will be strengthened in Pisces, which means that monetary problems will not affect you. A negative atmosphere around you can create Saturn. His influence can cause within you feelings for your financial position. Try to ward off bad thoughts from yourself and at least briefly return to reality. Then you will understand that any problems can be solved, and financial difficulties are just a temporary phenomenon. Free minutes can be devoted to effective meditation, with which you can not only relax, but also attract financial success to your life.